This past weekend got off to a sweet start with a visit to Briermere Farm in Riverhead, NY, a farm stand on the north fork of Long Island with a well-deserved reputation for turning out some of the East End’s very best pies, as well as for having one of the largest pie selections anywhere. On the day we visited I counted 27 varieties displayed in several large cases, including one case that I estimate to be about 6 feet high and that was filled to the top with different fruit pies. I don’t know if you’ve ever had the experience of standing in front of that many pies, but it can take your breath away… at least it did me. And, not surprisingly, it also made choosing just one pie a difficult process. So after multiple false starts (and some frustration from the growing line of patrons behind us) we finally decided on two: a strawberry pie, and a raspberry cream variety, and at the last minute threw in a still-warm-from-the-oven blueberry muffin and a cinnamon roll for good measure. But Briermere isn’t just about baked goods—they’re also a farm stand in the classic sense, which this time of year means a bounty of locally grown fruits and vegetables to choose from. So in addition to those pies and other goodies, we left laden down with tomatoes, avocados, nectarines (the best I’ve had all summer! 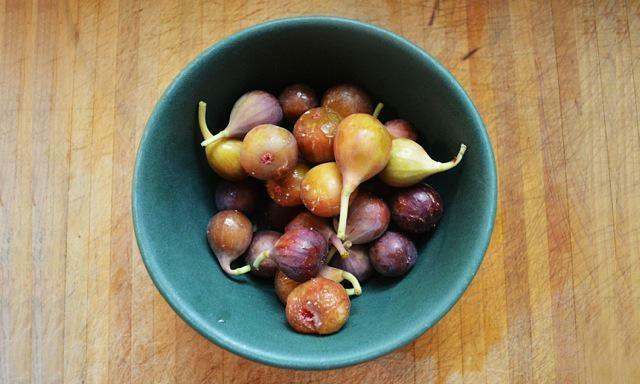 ), several types of greens, and two pints of figs that, though small (and, it must be said, probably not local), were perfectly ripe and wonderfully sweet. Under any circumstances those figs were something I would have had a hard time passing up, though the fact that I was haunted by the fig and almond cake recipe I’d seen in The Times a week earlier meant that I was buying with a definite purpose in mind. In other words, despite having already committed to the purchase of two pies, there would also be a freshly baked cake in our weekend lineup. That’s a lot of dessert even by my glutinous standards, but it proved the perfect antidote to a cloudy Labor Day weekend, when neither the sun, nor the rain, ever actually made much of an appearance. 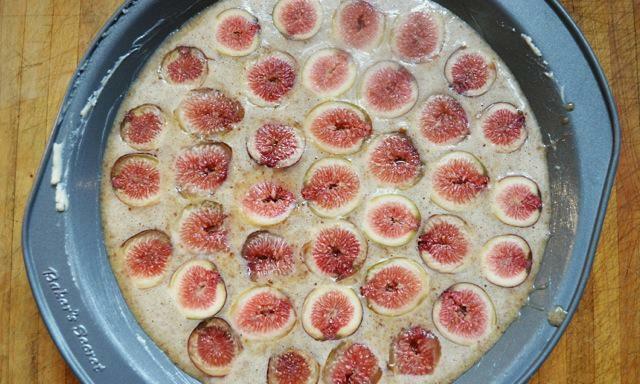 Aside from the pleasure of cooking with figs at the very height of their season, one of the things that appealed to me most about the Times’ cake recipe (which I’ve reproduced for you here) is that it paired the fruit with a batter infused with freshly ground almonds and almond extract. I’m a fan of almonds in almost any form, but in the context of baking, something truly miraculous happens with them, perfuming the various other ingredients with a whiff of the exotic. That’s certainly the case here, though those freshly ground almonds also lend the cake a rustic, crunchy texture that’s a nice counterpoint to the floral character offered by the extract. And all of those qualities offer the perfect counterpoint to the subtle, yet concentrated flavor of the fruit. 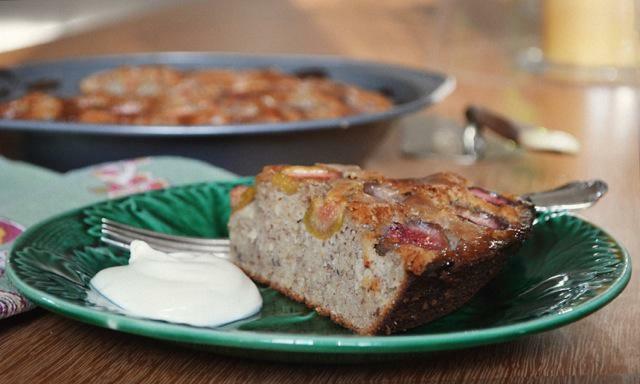 As such, it makes for a not-too-sweet cake that works as well at breakfast time as it does for a low-key dessert. It’s a lovely combination of qualities made even more so by the ease with which the cake is assembled. To start you grind a cup of raw almonds with a ¼ cup of sugar in a food processor until it’s coarse and powdery—sort of the consistency of wet sand. 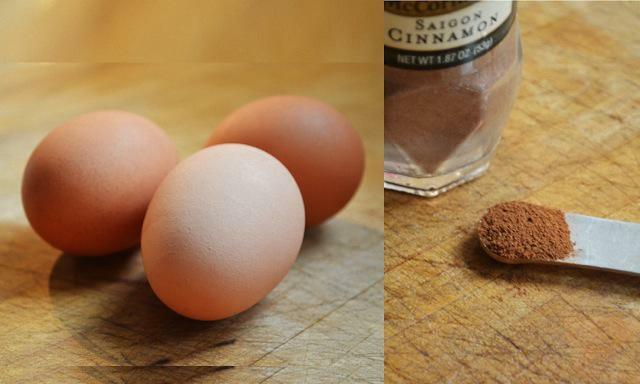 To this you add a ¼ cup of all-purpose flour, and small amounts each of baking powder, cinnamon, and salt. 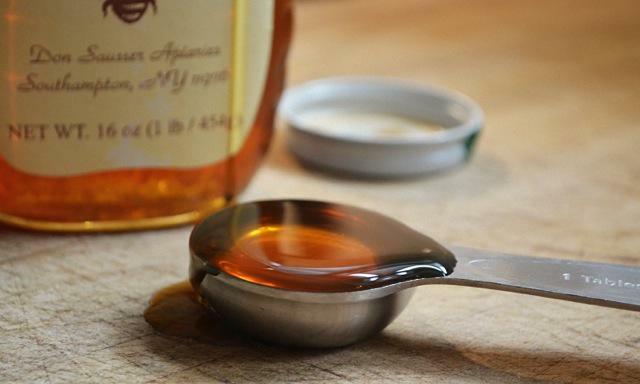 In a separate bowl whisk together three eggs, half a stick of melted butter, 2 tablespoons of honey, and ½ teaspoon of the aforementioned almond extract. 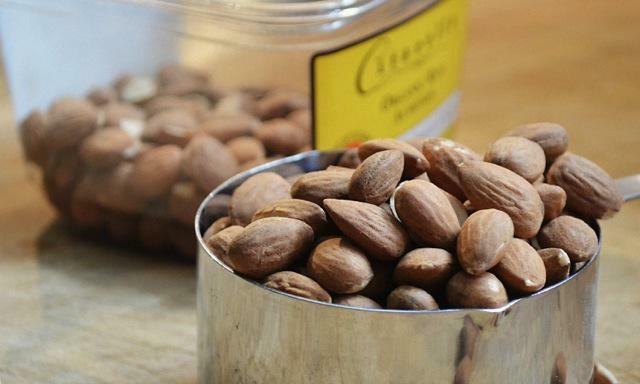 Once combined, add this to the almond mixture until just incorporated and pour into a well-buttered pan. All that remains is to stem and slice your figs in half (12 should be sufficient, though if you’re using small sized ones as I did here you’ll need to increase the number to 20 or so), lay them cut side up across the surface of the batter, sprinkle with a few tablespoons of sugar, and slide into a 375˚ oven for thirty minutes. Almost immediately the batter begins to rise around the sliced fruit, with the juice and sugar ultimately combining to create a a shimmering glaze across the golden surface of the finished cake. As tempting as it is to slice into the cake as soon as it exits the oven, it’s best to allow some time for it to cool down, as it will likely fall apart if you move in too soon. That being said, this is a cake best enjoyed the day it’s made, when the nutty crumb still retains a maximum of moisture. 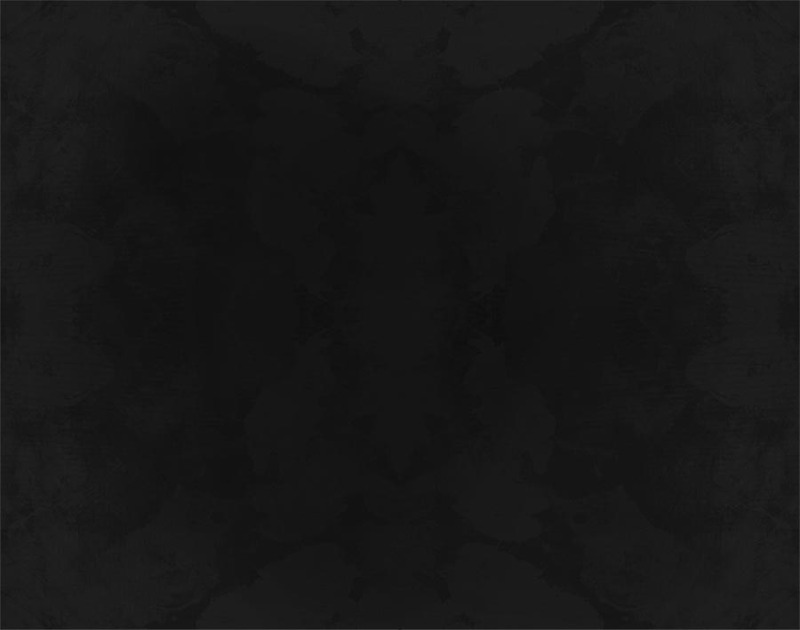 In fact, it’s that damp, grainy texture that’s one of the highlights here. Serve each slice with a dollop of whipped cream if you wish, but in my book this is one of those desserts that’s at its best when allowed to shine all on its own, without any embellishments. —A 9-inch fluted tart pan or pie pan. —Butter a 9-inch fluted tart pan or pie pan; set aside. 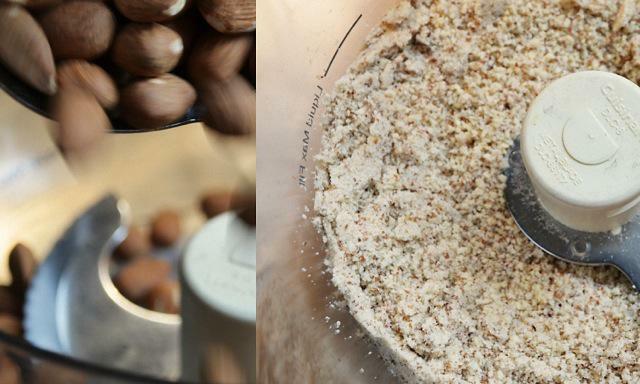 —Put almonds and ¼ cup sugar in a food processor and grind to a coarse powder. Add flour, baking powder, cinnamon, and salt; pulse to combine. 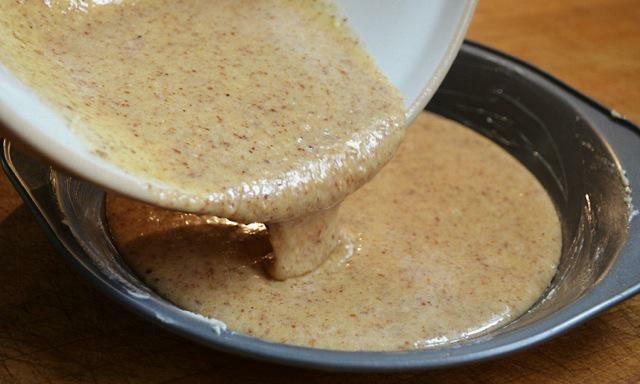 —In a mixing bowl, whisk together eggs, melted butter, honey, and almond extract. Add almond mixture and beat for a minute until batter is just combined. Pour batter into a pan. 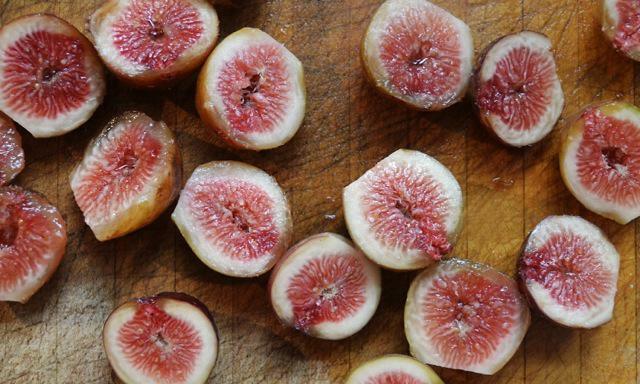 —Remove stem from each fig and cut in half. Arrange fig halves cut-side up over the batter. 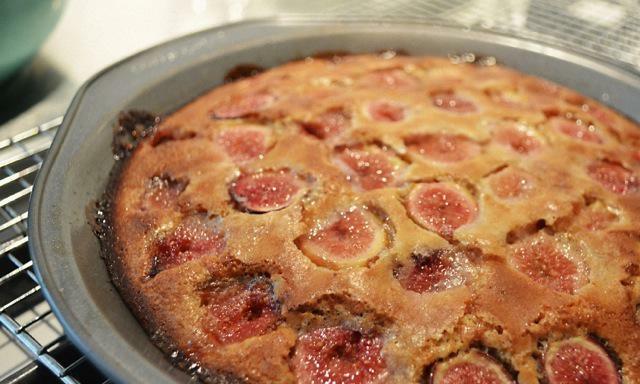 Sprinkle figs with sugar and bake for 30 minutes, until golden outside and dry at center when probed with a cake tester. Cool before serving.